Let me say, first and foremost, that I am such a total sucker for books revolving around the ocean, whether it involves pirates, mermaids, sirens, sea creatures, or any mix of those things. 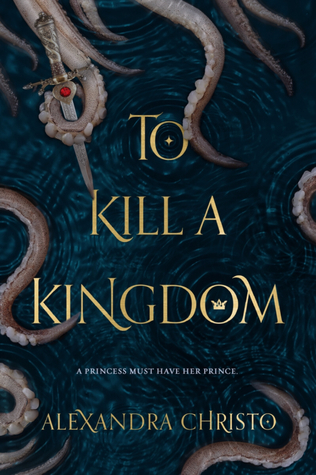 When I first heard about this story of a vicious siren chasing down a pirate prince who slays her kind, it skyrocketed to the top of my list of most anticipated releases for 2018. I had every gut feeling in the world that I was going to positively adore this novel, and as you’ll see in my review, I was not disappointed. Buddy read with Melanie, Lilly, Wren, and Jules! I’m the same way with ocean books. I’m obsessed with mermaids, but like pirates, too. I can’t wait to get my copy of this (ordered a book box with it for March). I hope you love it as much as I did! Enjoy! I adored this book! So glad you enjoyed it, I love your review. This sounds like such a great book. Plus I’m really digging the cover of it. I’m going to need to check this out at some point. Glad to see you enjoyed it! I loooove the cover! I’m so excited to see what the finished copy looks like. 😀 I hope you like it when you do check it out! First of all, a siren main character, yes finally! Did you hear about “Sea Witch” by Sarah Henning? It’s about Ursula from the Little Mermaid, specifically how she became the sea witch and judging by the reviews, it’s really good. Right?! Oh, no, I haven’t looked into that one! I’ve seen the cover but keep meaning to check it out and forgetting. Going to add it to my TBR for sure! I just finished reading this and totally agree with you – it was amazing. I’ve had to order a hardback for my collection as I know I’ll be rereading soon. Love your review! At this point I cannot get more enthusiastic for this book than I already am. I need money. I need this book. I NEED MONEY TO BUY THIS BOOK.